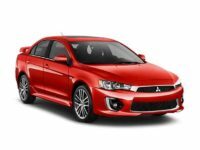 The Mitsubishi brand offers versatility, performance and sleek design all for an affordable price. 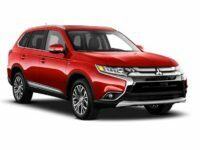 While this particular make has always offered the most bang for your buck, Car Leasing Bronx is here to make your next Mitsubishi even more affordable with our convenient and affordable Mitsubishi lease deals. Our enormous selection, concierge-like customer service, convenient and streamlined application process and rock-bottom lease prices make us the preferred Mitsubishi leasing resource in the NYC area. We are determined to help you find the most affordable and fair Mitsubishi leases. Call Car Leasing Bronx today at 347-523-5600 to experience best-in-class service on your next car or truck lease. At Car Leasing Bronx, we understand that a quality auto leasing process begins with the largest inventory of the cars you’re looking for. Shopping for a new Mitsubishi? We have a variety of models including the Mitsubishi Lancer, Evolution, Mirage and Outlander. We also have each model in a number of different trim packages to help ensure you get the exact features you’re looking for. Whatever it is you need, we will have it for you. We recognize that it’s important for our customers to be able to drive the latest models of Mitsubishis every few years, and we provide that opportunity each day. 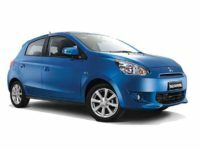 We proudly offer the latest models, including Lancer, Mirage, Outlander and more. People are often irritated and overwhelmed by the leasing process. They think of the traditional paradigm in which they have to go to multiple dealerships, deal with opportunistic sales people and have to settle for a car they don’t want because they can’t find (or afford) the car they truly desire. Car Leasing Bronx has relationships with dealerships all over the Bronx area to offer our friend and neighbors in the Big Apple the best possible prices on the vehicles they truly want and that work for them. Don’t be scared of high prices or wasting time. Car Leasing Bronx is ready to help.